I have carried a hankerchief in my purse. 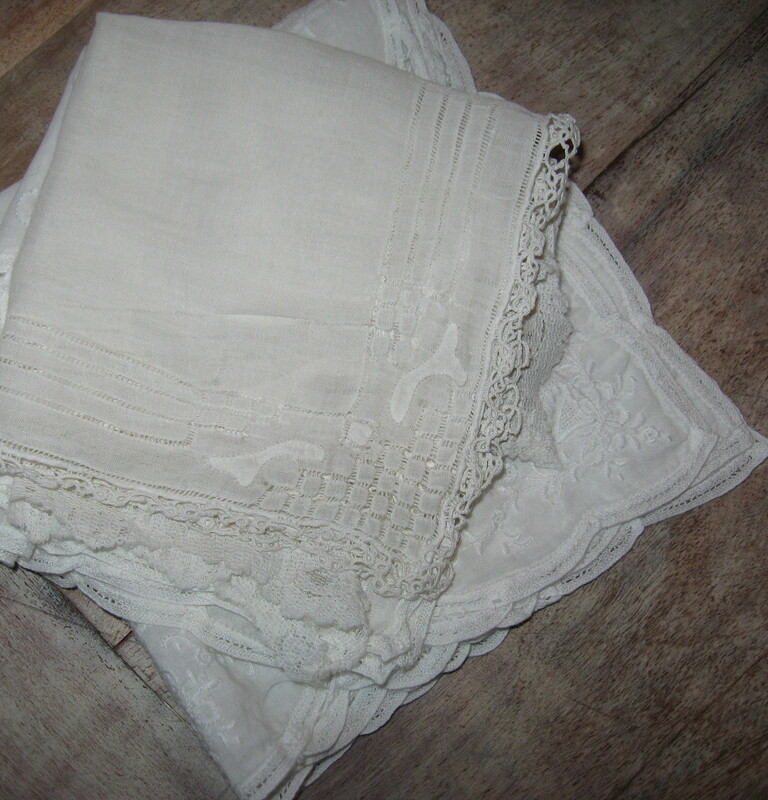 A clean white hankerchief as always been among the things that you knew you could find in my handbag. I noticed something that I guess I had not thought about before. Each of my hankies had a story to tell. Some of them I only carry to church, weddings and funerals. Some I consider an everyday item and alternate between. I had a few that I have never carried. or from someone who is no longer living. 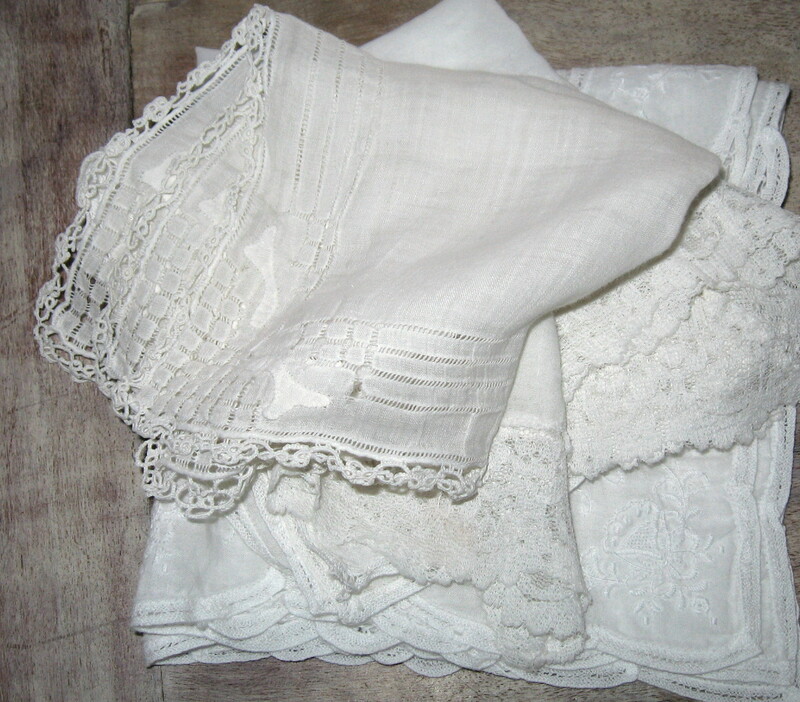 That even these cherished few hankies need to be carried and used. Enjoy the things that make you smile or bring you joy. Don't store them up to be used another day...for we never know when our time here is finished. I know that was the intent with which it was given. I wish each of you...my dear friends a wonderful Wednesday! Your mag is on it's way to you!! Beautiful post Donna. You are so right that we should not put off the joy for another day. Such pretty hankies you have and you have inspired me to carry cloth hankies too, because you never know when you might need a good cry. Have a Happy Thanksgiving sweet. I love that story and I love the hankies. You know...my Mom and I were talking the other day on things that are a lost art... I know a hanky is nt a lost art but do you really see anyone anymore with them? NO, not really. We spoke of corsages no one wears them anymore just lil things like that... I really loved this post :) Thanks for sharing and I hope you and your family's Thanksgiving is full of joyful blessings. Hi Donna,this is such a wonderful thought. 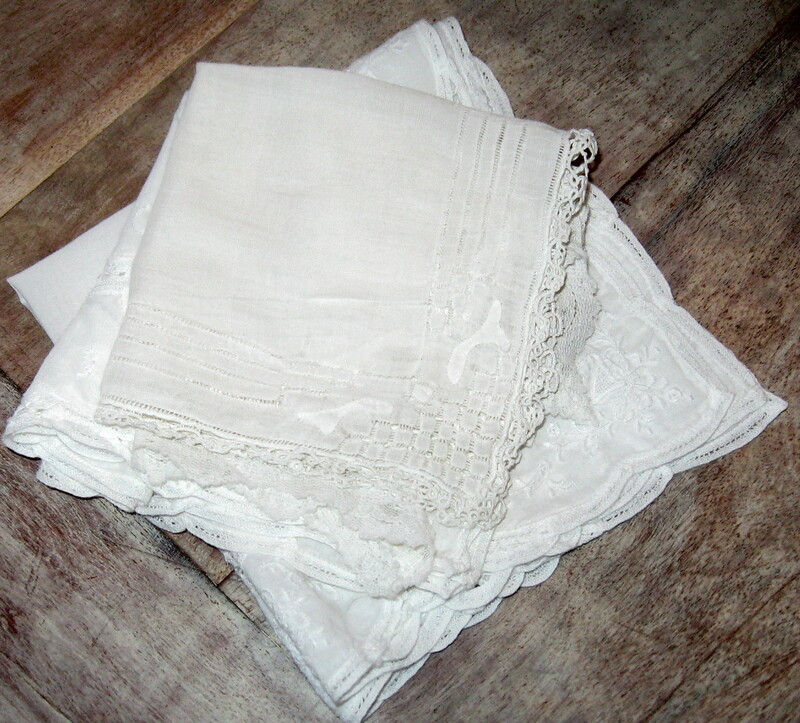 I love this custom of a real hankie, as I always include a hankie to every new bride. So often we save the "special" and never use it, setting it aside. You are inspiring me to "use" more of the beautiful things that I have instead of just "looking at them". Blessings for a wonderful Thanksgiving! Sweet and endearing post...when my Grandmother passed away my Mother gave me one of her hankies...it is a treasure. I hope you are well and I want to wish you a Happy Thanksgiving!